The water resources around the world are stressed by rapid population increases, rising demand, and limited supply. 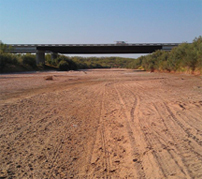 Located in Central Texas, where the humid southeast meets the arid southwest, The University of Texas at Austin and ESI are uniquely situated to explore the challenges that water presents in the 21st Century. 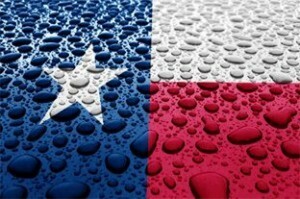 A group of Texas university professors and agency staff (including ESI Director Jay Banner and ESI research staff) has formed a Drought Technology Steering Committee to better understand how university research-based information can help in understanding and facing drought in Texas. 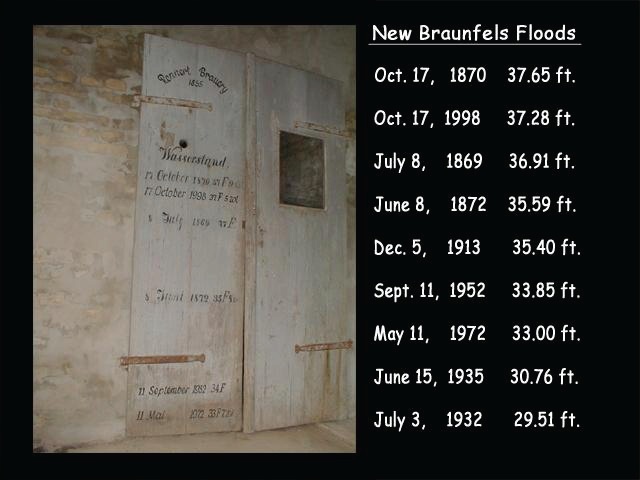 Historical flood lines on the door of an old brewery on the Guadalupe River (Slade and Chow, 2011). 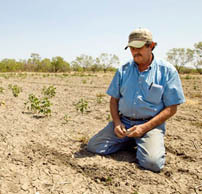 ESI focuses effort on explaining the science underlying issues such as climate change and water to the public. 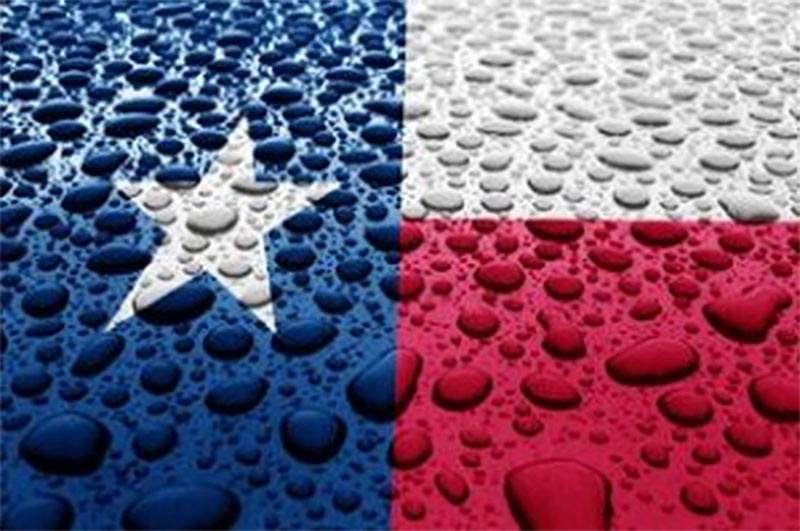 ESI researchers have been at the forefront of exploring Texas’s water future, including the impacts of climate change on that future. For example, together with other ESI-affilated faculty and graduate students, Dr. Jay Banner, Director of ESI and Professor at the Jackson School of Geosciences recently published a white paper on Climate Change Impacts on Texas Water, with recommendations for the future. 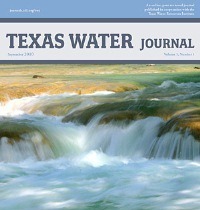 This paper was featured in the inaugural issue of the Texas Water Journal.For more about ESI faculty and their research, visit ESI’s affiliated faculty page. Tyrone Hayes’ science and activism has encouraged people to ask “just what is in my water? 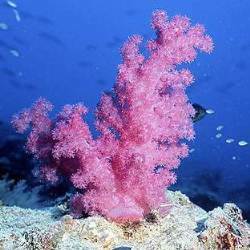 Educating the public about the importance of biodiversity is imperative to our global future. For example, Dr. Tyone B. Hayes wowed hundreds of Hot Science – Cool Talks participants by presenting (and rapping about) the impact of atrazine in water soures on the reproductive development of frogs.For more information, visit the Hot Science – Cool Talks Outreach Series. With resources like UTMSI and the Mission-Aransas NERR, UT-Austin leads the way in water science and education.